The small DOCG of Gattinara is located far north of the Barolo/ Barbaresco zones in the Alpine foothills close to Lago Maggiore. The soils of this region are more acidic than those of the Langhe, which, paired with the cooler climate and altitude, results in highly fragrant, elegant wines at their best in hot years. Few estates remain in this historic northerly zone, but tenacious Antoniolo, established in 1949, is surely the most dynamic; Antoniolo was the first producer in the DOCG to bottle cru wines, and is one of the only to bottle 100% Nebbiolo without blending in other varietals. 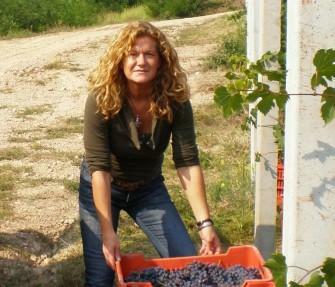 Proprietress Rosanna Antoniolo owns over 14 hectares of vineyards in five plots, and son, Alberto and daughter, Lorella, third generation Antoniolos now supervise every stage of winemaking. The Osso San Grato, San Francesco and Castelle vineyards yield selections and the standard Gattinara while Nebbiolo Juvenia and the Bricco Lorella rose come from the Borelle and Valferana vineyards. The "Osso" yields an imposing wine with structure and longevity, while "San Francesco" is the most delicate of the trio. Partly barrique-aged "Castelle" is a forward wine with ripe, pleasing fruit and rose petal aromas. Aging requirements are the same as those for the Barolo DOCG (three years, at least two in wood.) These wines are an excellent lower-priced, off-the-beaten alternative to Barolo or Barbaresco. Vineyard Management: Integrated insect and disease control has been followed since 1995. No systemic plant protection products (products which act by systemic transport – through the sap of the plant) are used. Prevalence of sulphur and copper base products. No chemical fertilizers and no products against botrytis are used. Natural cover crops (grass cover) are left on the rows between the vines. After many years of these practices the vines (80% of the vines are over 30 years old) are much more resistant and are "balanced". Very low doses of SO2 used in the wines.